*Radio One announced the fourth annual Radio One/St. Jude Radiothon, featuring the Yolanda Adams Morning Show, raised $1,109,351 for St. Jude Children’s Research Hospital, the nation’s top children cancer hospital. Held on Thursday, March 31, the fundraiser was broadcast on Radio One affiliate stations in 11 cities across the United States. Since 2008, the Radio One/St. Jude Radiothon has raised more than $4 million in cash and pledges through the support of Radio One stations and the Yolanda Adams Morning Show. Throughout her show, Yolanda Adams and her co-hosts Minister Anthony Valary and Marcus D. Wiley encouraged listeners to donate to St. Jude. Adams interviewed St. Jude patients Jalise and Emmanuel and their families who shared their personal stories and reasons why donations are so important to the lifesaving treatment and cutting-edge research conducted at St. Jude. Next ArticleThe Mangum Legal Minute: Does Match.com Have to Guarantee Prince Charming? 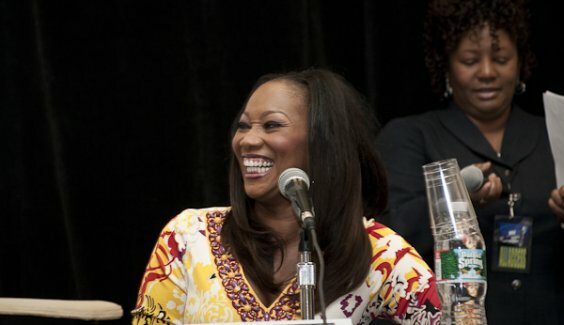 Kudos to Yolanda Adams and her radio show’s fundraising efforts. That money will go a long way in helping St. Jude with its mission to assist young cancer patients.